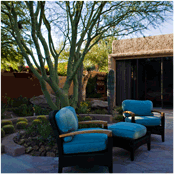 Transform your outdoor space into a functional, comfortable, usable space. 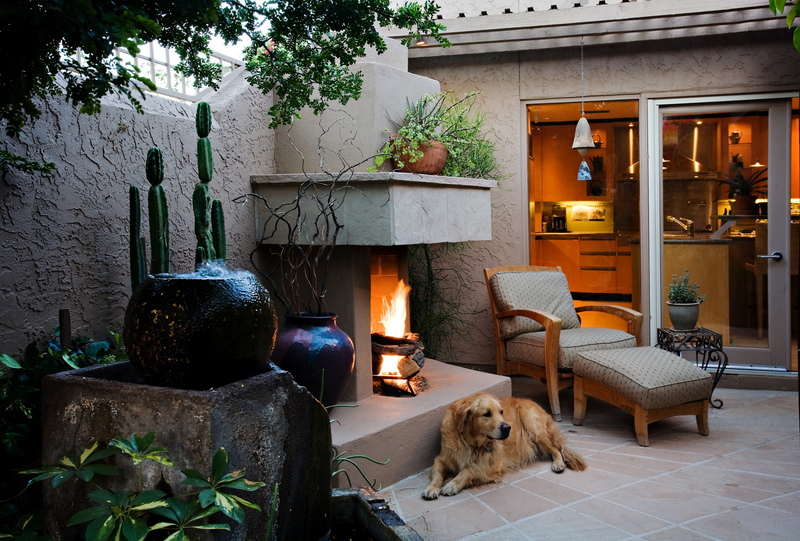 Phoenix homeowners change exterior into a beautiful open, interactive space. 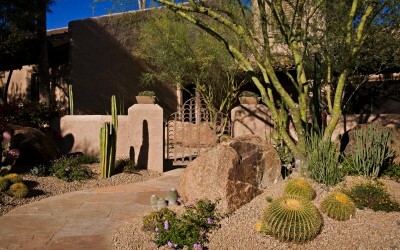 Based in Scottsdale, Ariz., Landscaping by André, Inc. has been serving the Valley for more than 50 years. We are an award winning, full service landscape contractor offering design, installation and maintenance of residential and commercial properties. Our experienced and knowledgeable teams can help you create a one-of-a-kind outdoor space; complete with a custom fireplace, seating area, pavers, stone work, built in BBQ’s and more! We also provide weekly yard care services, pruning and trimming, over-seeding, irrigation installation and repairs and one time clean ups. Our mission is to bring to life your extraordinary vision for an outdoor space, by utilizing our experience and innovation. We are licensed, bonded and insured. Call us today for a free estimate! 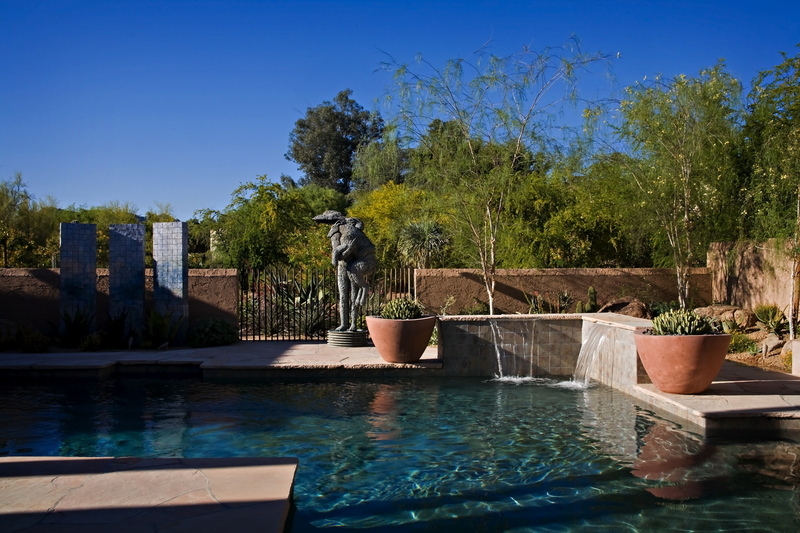 Art and Plants Transform a Paradise Valley Garden The owners of this Paradise Valley home are avid art and plant collectors. So, when they decided to renovate their backyard a few years ago, it was essential that the new outdoor space captured their two passions. Landscaping by André created the framework with the hardscape, first they opened up the perimeter walls with rebar fencing, next the pool equipment was moved and hidden behind a rusted-metal fence to make room for a dining Ramada. 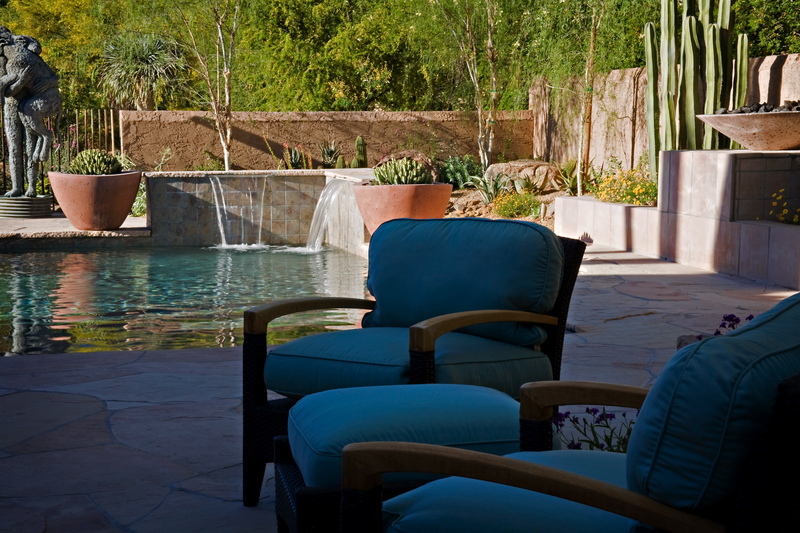 Accent walls were constructed, water and fire features were added and a seating area was designed for optimal viewing of the mountain and backyard. Then the plantscape was installed and close to 600 exotic plants from Africa, northern Mexico and Southern America were added. Lastly, the couple’s art was integrated into the landscape. The finished product was a perfect blend of their two passions. It started as a nondescript 1960’s Ranch house and turned into one of the most beautiful homes on the street. 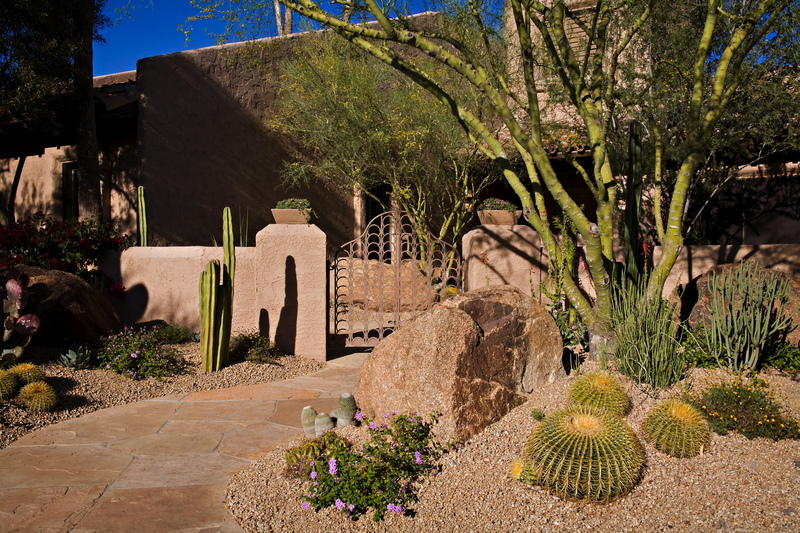 First, Landscaping by André removed all but a mesquite tree in the front year and added several mature cacti. They also moved an air-conditioning unit that was located in the narrow area beyond the home’s entry foyer. Before the front yard had a bland mix of grass and gravel and a tiny entry way. 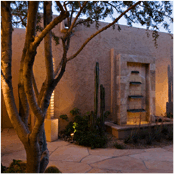 Now, it has a large cantera-floored courtyard, with a stone fountain and decorative low wall. Today, it functions as a place of welcome and relaxation. In the backyard, the Landscaping by André team creating multiple seating areas, a raised patio, grass and a basketball court. 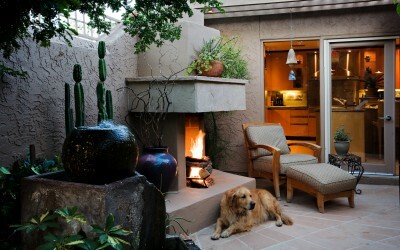 The entire outdoor living space is now much more user friendly and inviting.